Travelling can be expensive but it doesn’t have to be. Over the years we have employed a variety of strategies to make our dollar go further. And whilst we now travel full time, even the occasional traveller can save money with a bit of planning. Here are our top 5 tips. These fees are applied on credit card transactions made in foreign currencies and you don’t even need to be overseas to have these inflicted upon you, particularly if you shop online with international retailers. Our initial card of choice which doesn’t charge any international transaction fees was the 28 Degrees MasterCard. We have used this card all around the world without any problem. 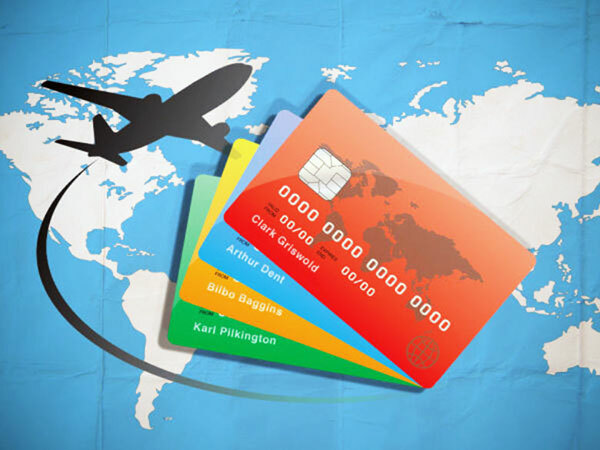 In 2018 we added the Coles Reward MasterCard to our arsenal as it not only is foreign fee free but you earn FlyBuys at the same time. All these cards can be applied for online, most providing a response (and often a ridiculous credit limit) almost immediately. 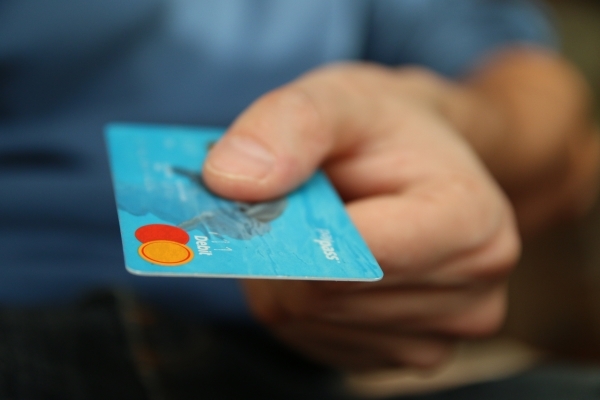 To assist with budgeting you can put money on the card via bank transfer to make sure things are paid for before you buy them. 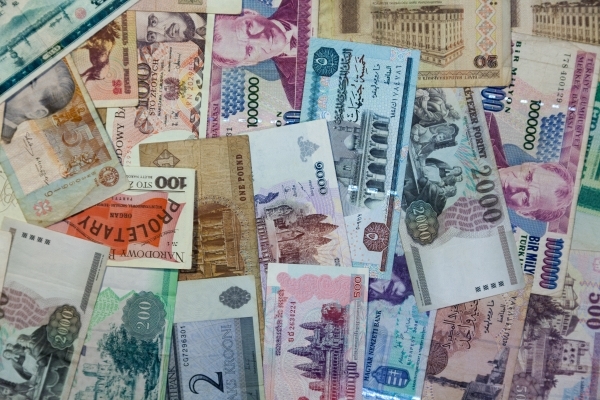 Paying with cash is preferable in some countries, particularly in developing economies. 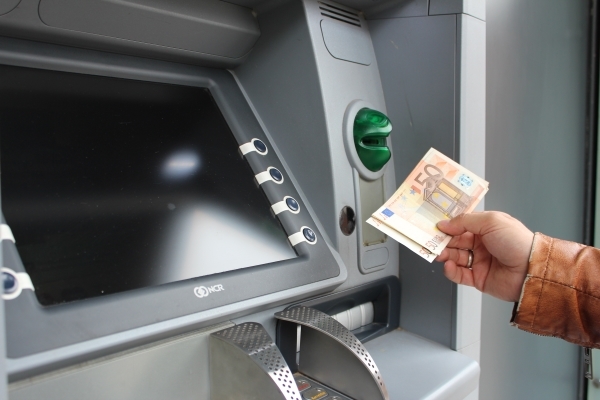 Getting cash on the road via ATMs is pretty easy although you can be slugged with a fee for accessing your own money. As a financial ninja however, avoiding these fees is pretty easy via the Citibank Debit card which charges no ATM fees. Occasionally (like when we were in Nepal), the ATM provider will charge a fee to use their machine but we have found this to be very rare. We have never used cash passport type cards and our investigation shows they are riddled with fees and no more convenient than the cards we have mentioned. The limitations on cash passport cards, including the number of currencies you can load, surcharges if you don’t use the card etc, mean we don’t even consider these cards. Similarly, if you want to start your holiday with a financial disaster, change currency at an airport. In our early days we did this and paid the price. Now we just walk on by those kiosks knowing we’re not going to get ripped off. Once we land in a country we go to an ATM and withdraw cash at a much better rate. And using our Citibank Debit card means we get it fee free and at a better rate – WINNING! This is a newer trap for non-ninjas where a service provider will ask if you want to pay in the currency of the card. In our case this is Australian dollars and the answer is always NO! The conversion rate suggested by the provider is always to their advantage, not yours. So be aware when using your card at restaurants, hotels, cafes etc and pay in the local currency. This also applies to PayPal and online shopping. On our current trip in Mexico, booking bus tickets (which is a great way to travel by the way) and choosing Mexican Pesos saves us around $3-$4 each booking. More cups of coffee and tacos for us!! Signing up for reward programs is another way to save money, particularly when it comes to collecting rewards. We belong to a number of airline Reward programs with Velocity, Qantas and Singapore Airlines being our main ones. Whilst we always look for the best deals for accommodation we use sites such as hotels.com and booking.com when we can as these sites offer free nights after booking 10 nights. As you’re going to be booking these services (flights, hotels, car hire etc), you may as well take advantage of the rewards being offered. Things can and do go wrong when you are travelling but a little preparation can ensure these hiccups don’t spoil your travels. Avoid carrying all your cards together in one wallet, if you lose it, you will also lose access to all your money. 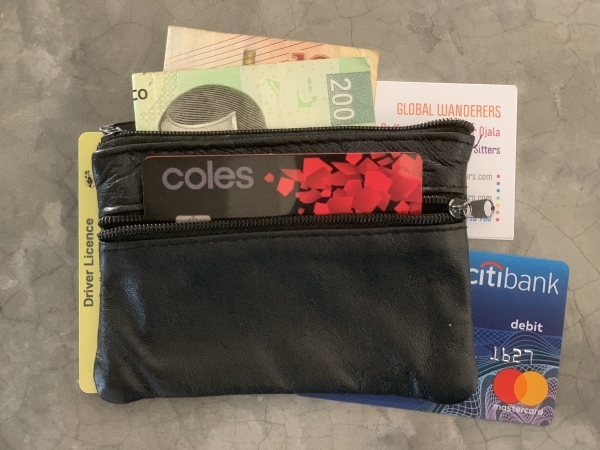 My every day travel wallet consists of some cash, my Citibank debit card (ATM withdrawals), and my Coles Reward MasterCard for credit card purchases. We sign up for supplementary cards so we each have a card that can access our accounts, so if one of our cards gets lost or stolen, we can still access our funds. Additionally the accounts we have with Citibank, 28 Degrees & Coles aren’t linked to any of our regular Australian accounts providing an extra buffer of security. Travelling like a financial ninja is easy if you know how. Knowing you are getting as much ‘bang for your buck’ makes the cocktails, sunsets and amazing experiences that much sweeter. And with the savings you make you will be able to afford another holiday even sooner. Safe travelling ninjas! !